The project on Gender in the Global Community examines the functioning of gendered structures and norms in the international system, focusing especially on security, human rights, economic activity, and institution building. The project's research agenda and related activities work to bring a gendered lens of analysis to key issues and challenges in the international system, with a particular focus on women’s empowerment as leaders, as economic actors, and as equal citizens in the global community. Initiated in 2010, the Project on Gender in the Global Community is currently engaged with four key sub-projects: Conflict Related Sexual- and Gender-Based Violence, Global Women’s Work, Women, Peace and Security, and Children and Armed Conflict. 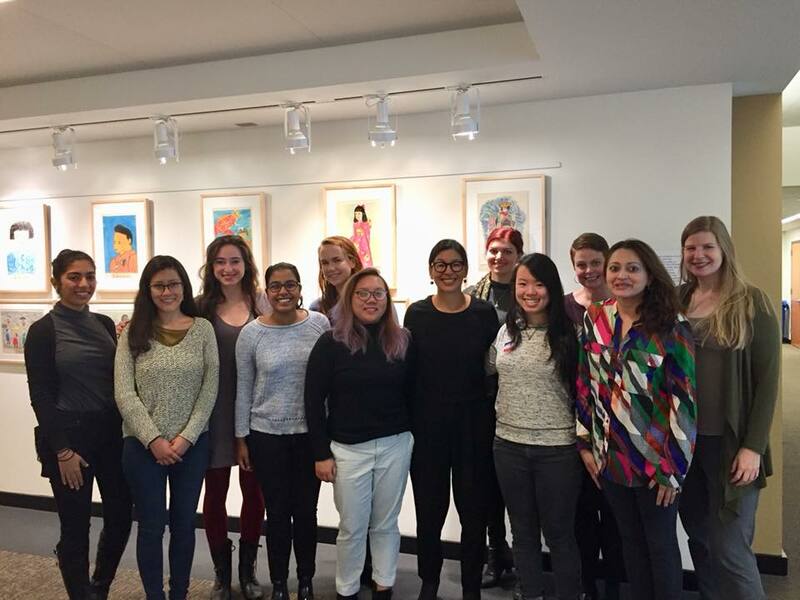 In 2017, the project began a student fellows program, and welcomed its second cohort of student fellows in the fall of 2018. Sexual- and Gender-Based Violence: Beginning in fall 2017, LISD's Project on Gender in the Global Community began project work to engage more deeply with the specific issue of Conflict Related Sexual- and Gender-Based Violence. In cooperation with the All Survivors Project, the Institute convenes key stakeholders around this issue in order to facilitate dialogue, disseminate research, and generate policy recommendations focusing on gender- and identity-inclusive approaches to and mechanisms for combatting SGBV. Global Women’s Work: Among actors in the international community, especially those focused on effective development and peace building, meaningful economic opportunities for and economic participation of women in society are increasingly seen as important factors in peace and security. Yet a broad range of issues related to women’s economic security have been largely understudied, including micro- and macro-level constraints on women’s employment, empowerment of women toward economic security through access to the formal economy, education and mechanisms of governance, the impact of the unraveling of the global economy since 2007, and key cultural and religious influences that shape local, national, and regional employment landscapes for women. The Global Women’s Work sub-project contributes to a fuller understanding of the critical importance of women’s economic independence to human and community security by engaging in research, publication, and policy discussions focusing on the work done by women as well as political and cultural mechanisms that often inhibit the creation of and access to meaningful participation by women in the formal economic sector across a variety of local and regional contexts. Project work highlights issues facing women in developed, developing, and post-conflict economies, including access or barriers to work, safe working environments and education, international trade and development policies, and challenges to and options for the creation of sustainable livelihoods, in order to explore women’s economic self-determination across a spectrum ranging from exploitation to agency, and from oppression to opportunity. The project analyzes how women are negotiating the future for themselves, their families, and their communities through their economic options, while incorporating a feminist understanding of labor that includes not only work performed in exchange for wages, but also the unpaid and underpaid work that women undertake through their social productive and reproductive labor. Women, Peace, and Security: The Women, Peace, and Security agenda of the United Nations Security Council is considered one of the landmark achievements in its thematic work. In resolution 1325 (2000), the Council addressed for the first time the impact of armed conflict on women and recognized the under-valued and under-utilized contributions women make to conflict prevention and peace processes. The thematic work initiated by resolution 1325 has been reinforced and expanded by follow-up resolutions 1820, 1888, 1889, and 1960, which together form the Women, Peace, and Security agenda of the Council. At the same time, integrating this agenda into the country-specific work of the Council has proven very challenging, despite the Security Council’s continued political recognition that gender is central to lasting and sustainable peace and security. So too has the encouragement of women’s participation and inclusion in peacemaking, mediation, and negotiation processes lagged behind the ambitious agenda established by resolution 1325 and subsequent Women, Peace, and Security resolutions. With the goal of moving toward full implementation of the UN’s Women, Peace, and Security agenda, the Women, Peace, and Security sub-project of LISD’s Project on Gender in the Global Community produces original research, convenes issue-specific workshops, and in cooperation with the Permanent Mission of Liechtenstein to the UN and the PeaceWomen Project of the Women’s International League for Peace and Freedom, has sponsored an ongoing series of lectures and panel discussions at UN Headquarters in New York, focusing especially on the participation pillar of the Women, Peace, and Security agenda. Children and Armed Conflict: Boys and girls living in situations of armed conflict around the world face serious violations of their security and rights. UN Security Council resolutions 1612, 1882, 1998, 2068, and 2143 demand the protection of children in armed conflict and firmly designate this protection as a matter of international peace and security. Girls are disproportionately affected by gender-based violence, sexual abuse, exploitation and other violations during armed conflict. This situation is particularly difficult to monitor due to stigma attached to survivors of sexual violence and lack of support or redress for those who do report crimes against them. Since the adoption of its first resolution on children and armed conflict in 1999, the UN Security Council has achieved enormous progress in advancing the UN Children and Armed Conflict agenda, but much more remains to be done. In cooperation with the NGO Watchlist on Children and Armed Conflict, the Project on Gender in the Global Community’s sub-project on Children and Armed Conflict convenes key stakeholders in order to generate recommendations for moving forward the UN’s Children and Armed Conflict agenda, with a specific focus on child protection in conflict mediation and peace processes and disseminates best practice findings and policy recommendations to global policy makers and other key stakeholders through policy briefs and reports, paying particular attention to outputs and outcomes that are gender sensitive.